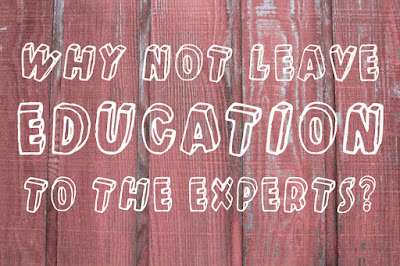 Why Not Leave Education to the Experts? My mother used to get asked, sometimes, if she was a teacher. Considering my sister and I weren’t going to school, the assumption ran that surely she must be a teacher. Surely she wouldn’t consider something so drastic as to take her children away from the hands of educational experts, and into those of a mere layperson. That remains one of the biggest fears expressed about school-free education: the belief that experts will know best and do best, and so to take away those experts seems to be doing a great disservice to children. Of course, I could talk about the fact that teachers often find a big gap between the more idealized educational practices they learn in university compared with the reality of what they’re actually allowed or able to do in the classroom; the impossibility of fostering any type of truly individualized learning in a class filled with dozens of individuals; the fact that teachers are as prone to biases and prejudice as anyone else, meaning that marginalized students are often served especially poorly… But I don’t really want to get into that. What I want to explore instead is all the ways that unschooling functions without school teachers, but not without teachers; without institutionalization, but not necessarily without structure. I agree! But the idea with unschooling is not that the parent becomes a teacher, but instead that they act as a mentor and partner in their children’s learning. They’re not expected to know everything their child might want or need to know, they’re expected to help their children find the answers to their questions. They’re not there in order to “teach” different subjects, and instead work to find their children the resources needed in order to fully explore the things they find interesting and important. Parents or other trusted adults are not expected to be super-people, knowing and doing more than is humanly possible in order to single-handedly provide an education. They’re facilitators, co-learners in a quest for greater knowledge. Unschoolers usually find it very important to make connections in their community with various different people who have a variety of different skills. Learners volunteer, find mentors or teachers to guide them in their chosen pursuits, even take classes. They take advantage of book clubs at the local library and free lectures at a university; they use the wealth of information to be found online, including video tutorials and complete courses, long-form journalism and blogs covering an interesting topic. Experts and skilled amateurs alike make their knowledge and skills available to others in all sorts of different ways, meaning that self-directed learners can always find some way to learn about whatever it is they want to learn. 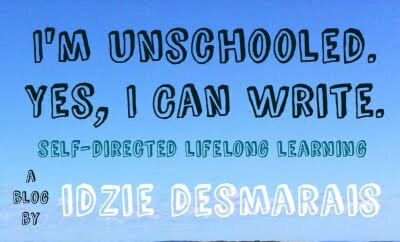 Unschooling doesn’t mean eschewing all “experts,” it just means seeking them out only if and when they want to… And it also means that many unschoolers have access to more experts with more in-depth knowledge in their field than children in school do. If you take it as fact that all children should and will learn the exact same things, at the same time, in the same way, and with a similar aptitude and amount of interest, then maybe. But as we all know, that isn’t the case, and as much as many teachers might want to allow for more individuality in learning, the reality of high stakes testing and large classrooms makes such a thing completely impossible. It’s also important to note that while the term “self-directed” has been co-opted in certain circles to mean learning the same things from the same sources but going at your own pace, that’s not what actual self-directed education is. If your goal is not for everyone to reach the same point (just at different speeds) and instead you seek truly personalized education, consisting of what is most wanted and needed by the learner and their community, then you quickly realize that maybe a teacher doesn’t make the best director. Maybe the learner themselves, the owner of their own unique mind and body, is best equipped to shape their own learning. When you take out classroom management, and teaching to a test, and whatever the bureaucrats or textbook producers in your particular region have decided is the one body of knowledge all children should have, you make way for much greater diversity between individuals in the shape and content of their education. It’s a reality shift, one that ultimately looks to create not conformity, but a diverse society where varied skill sets, different strengths and weaknesses, unique quirks and passions, can exist without shame from the earliest of ages. If we want a world where everyone is valued for their own unique selves, why do we try and educate every child in the exact same way? Wouldn’t it make more sense to celebrate those differences instead? 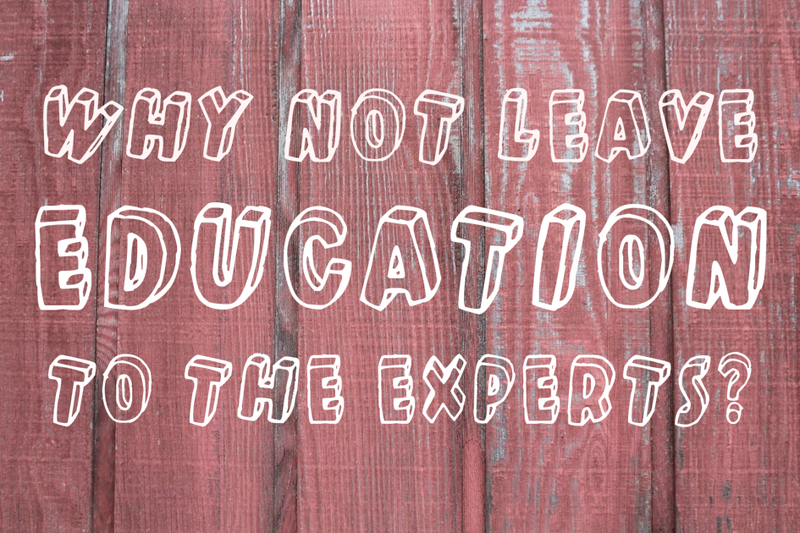 Leaving education to the experts doesn’t seem to be working out too well, so maybe it’s well past time we stop relying on them, and look to the learners themselves show us the way forward. and more. Most importantly? You help me continue doing what I do!